(CNN) -- As a medical student who used humor to help his patients, Robin Williams' role in "Patch Adams" was touching and memorable. But his laughter-as-medicine approach wasn't just limited to the silver screen. The kindness he brought to real-life patients, said their family members, was truly unforgettable. "He's really the comedic Mother Teresa," Garry Kravit told CNN. In 2001, Kravit's nephew, David Buist, received a bleak diagnosis: hepatosplenic T-cell lymphoma. This aggressive form of cancer is so rare that, according to the National Institutes of Health, "standard treatment has yet to be established." Buist, who was 24 years old at the time, met the devastating diagnosis with determination. "David said that he didn't want to just disappear," Kravit wrote in a CNN iReport submission, "and decided that he would help build a new Ronald McDonald house in New York before anything happened to him." Kravit, who met Williams at a previous event, reached out asking for autographed memorabilia to help with the fund-raising effort. Williams did that -- and much more. As Buist battled through the toughest months of his cancer treatment, Williams would call him. 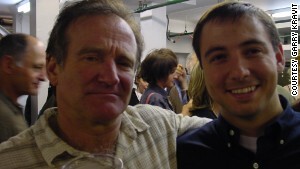 Williams and David Buist, who was suffering from a rare form of lymphomia, pose together backstage at 2004 performance. 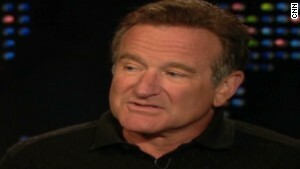 "You can't get a better laugh than a Robin Williams laugh," he said. After a year of treatment, Buist was discharged from New York's Memorial Sloan-Kettering Cancer Center, and Williams invited him and his uncle to a taping of a standup comedy special in New York City in 2004. Williams meet Buist backstage after the show where they hugged and caught up for several minutes. "He didn't care about anything but David," Kravit said. "I think he said to me backstage, 'my real job is helping people,'" Buist recalled. Buist, who is 37 years old now, is in remission and married with children. "He was a good person. He really tried to make people feel better. I am really sad he is gone," Buist said. "There is nothing like the power of laughter when you're feeling bad, and I wish that worked for him as well." In 2004, Robin Williams met Jessica Cole, 13, who had an incurable brain tumor. Mark Cole has a similar story. 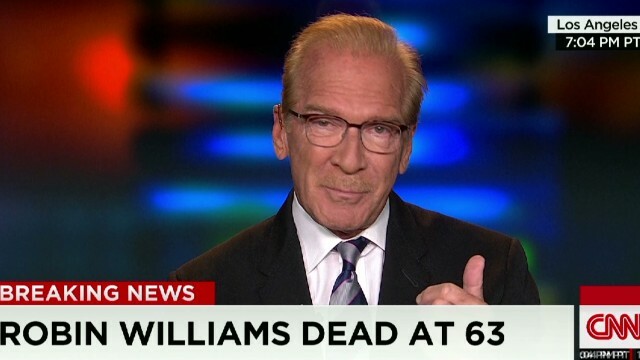 He wrote to CNN iReport about the time Williams visited his daughter, who doctors said was terminally-ill.
"He made her feel very special all day; it was just one-on-one" Cole said. "He really wanted to spend time with Jessica." 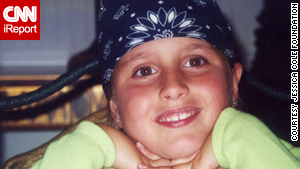 That visit, also in 2004, came when his daughter Jessica had only weeks left to live. Through The Make-a-Wish Foundation, she requested a visit with Williams. The 13-year-old loved the film "Mrs. Doubtfire." But Jessica, stricken with a brain tumor, couldn't make the trip to see the actor; her health was too fragile. So, the actor chartered a private plane to come to her Greensboro, North Carolina, home. "It must have cost $30,000, $40,000," Cole said. Given her medical state, the girl initially had trouble understanding who she was seeing, Cole recalled. But once Williams started with the "Mrs. Doubtfire" impressions, Jessica lit up. Cole said the actor spent the whole day cracking jokes, watching a Carolina Panthers game and playing cards with Jessica. "I couldn't believe it," he said. "I felt very privileged that he came to spend the day with her like that. It was the most moving thing I've ever seen in my life." Jessica passed away about two weeks later. Cole said when he heard about Robin Williams death, "I cried for half an hour." "You don't meet very many good people like that." The actor's death Monday at age 63 was a stunning blow not just to his fans but for patients he brought smiles to. He was a long-time supporter of St. Jude Children's Research Hospital, appearing in multiple campaigns for the facility. "Mr. Williams generously gave his time to raise awareness and funds for St. Jude and for our patients battling childhood cancer," the hospital said in a statement. "His humor brought bright smiles and laughter to our patients and families and his generosity deeply touched the hearts of all who knew him." CNN's Dorrine Mendoza and Jareen Imam contributed to this report.